Our Abingdon, Maryland eye care practice, located in the Abingdon Walmart Vision Center, is your one-stop shop for all your vision needs. Get professional eye exams, expert advice and valuable savings on top designer brand frames, lenses, contact lenses and eye care essentials. 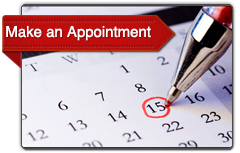 Our office offers convenient and easily accessible eyecare with weekend appointments available on Saturdays. Your comprehensive eye examinations will be administered by our owner, Dr. James Loskot, a highly respected Maryland licensed Optometrist. Dr. Loskot performs eye exams using the most state-of-the-art advanced technology. With many years of experience, Dr. Loskot and his staff are dedicated to providing the highest quality personalized eye care to you and your family. Diagnosis and management of OCULAR DISEASES: such as “pinkeye", macular degeneration, glaucoma, cataracts and dry eye syndrome. Dr. James Loskot is an expert eye care specialist located in the Abingdon Vision Center in Walmart. He offers services like glaucoma treatment, contact lenses prescription, cataracts treatment, prescription designer eyeglasses and much more. Dr. Loskot has lived in the Maryland area for most of his life, his goal is to bring quality eye care to the entire community. Call us today for an appointment with any eye issues you may have. We are more than willing to help, (410) 569-9466.